Planning on getting married in the Spring? Then you really need to look no further than the colours that Nature can offer you. Spring Wedding Colours Marry in March, April and the early part of May and you'll be surrounded by inspiration. Just think of the delicate beauty of pink camellias; purple grape hyacinths, pink blossom on the trees and sunny golden daffodils. Springtime colours work together beautifully and create a natural palette of shades to choose from that are perfect for a wedding. Your wedding cake could be full of the joy and exuberance of Spring, like this one from Cakes By Krishanthi. You'll want your wedding invitations to announce the mood and style of your wedding day. Look at Ananya's wedding stationery which comes in Springlike shades of purple, ombré, blue and pink. You can also order wedding stationery designed to your personal design - this might be the perfect time to commission a monogram for you as a couple. Have you created a moodboard for your wedding day yet? It's a great place to gather together all your thoughts; put together ideas for dresses, shoes, invitations, flowers, a venue .... Have a look at the Ananya Weddings moodboard on Pinterest. Plenty of inspiration for you there. Follow us to keep up with our latest finds. You'll also find a free moodboard tool at Dessy which is really easy to use. You just drag the images you like onto it and play about until you have a Spring wedding theme that you're happy with. Think bridesmaid dresses and accessories in fresh, springtime colours .. What colours have you chosen for your wedding theme? Are you letting the season inspire you or do you have another idea? How about a country garden theme? We'd love you to share your wedding thoughts on our Facebook page and post a photograph! Photo credits: Flower images by Wilde Thyme. Wedding cake by cakesbykrishanthi. Wedding invitations byAnanya. Green moodboard, bridesmaid dresses and accessories byDessy. 2014 has arrived! At Ananya, we love creating wedding stationery that reflects the top colour, embellishment and style trends of the year. 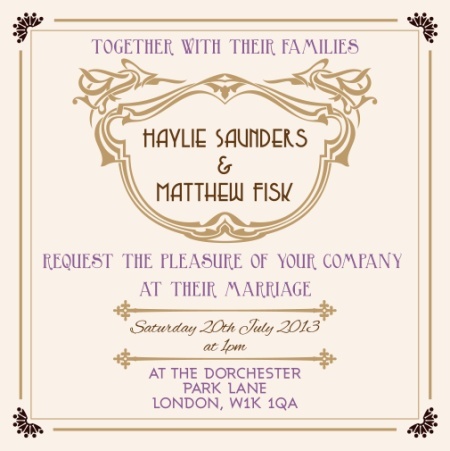 If you’re getting married in 2014 then look no further for stationery advice! If you want to make a statement this year, start by choosing one of our picks for the top trends in 2014. Pantone has announced that its 2014 Colour of the Year is Radiant Orchid. This captivating and charming shade of purple is perfect for romantic stationery and is set to dazzle the wedding scene this year. At Ananya, we love this enchanting, vibrant colour and have designed a collection of stationery that radiates love. This colour will be the hottest trend in fashion and interiors for 2014. Expect to see this colour accompanied with complimentary Ombre or monochrome shades. 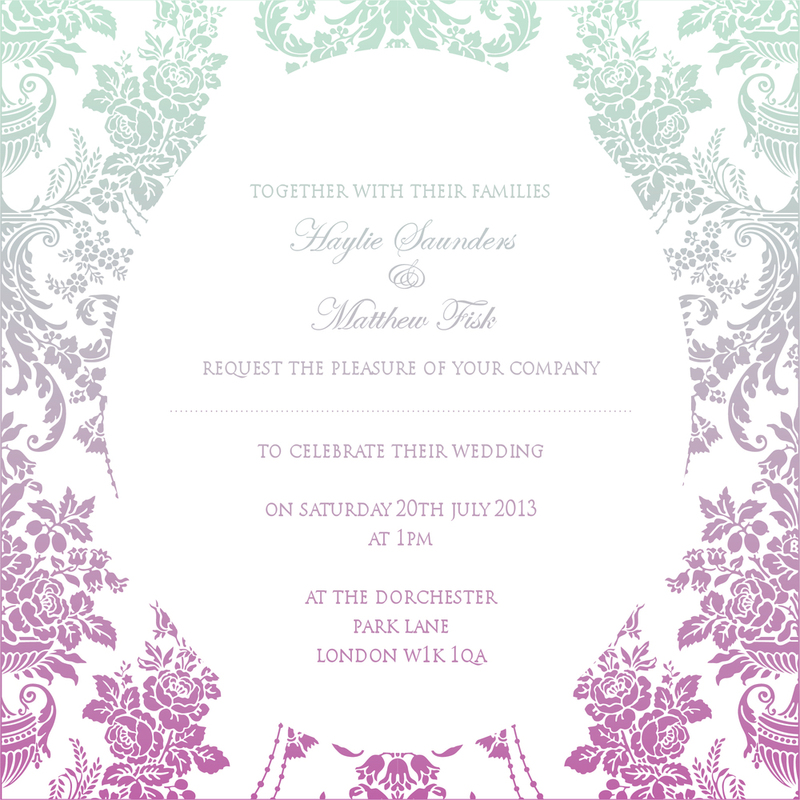 Make Radiant Orchid your stationery statement for 2014! At Ananya, we specialise in creating bespoke wedding stationery that truly reflects the personal style and image of the happy couple. My team and I will meet with you on a number of occasions to offer suggestions and create exclusive designs. For truly unique creations, we can design a monogram to add an elegant touch to your stationery that symbolises your everlasting commitment to each other. Plus, their versatile use and adaptability make monograms a wonderful keepsake that can be used for years to come. For an extra hint of sparkle, the stationery can be hand embellished with crystals to bring a bit of glitz and glamour to your wedding. With the success of The Great Gatsbyfilm in 2013, vintage motifs and delicate lace designs have taken over the wedding world. At Ananya, 2014 will be the year of pearl embellishments! Sweet pearls give an elegant and feminine touch to your stationery and set the tone for a luxurious celebration. Pearls can be hand embellished onto any of the Ananya collections and are a special accent for vintage-style designs. Pick pearls for timeless stationery with a romantic glow in 2014. No matter what trend you choose, you can’t go wrong with Radiant Orchid, Signature Style or Vintage Luxe in 2014! Tired of attending weddings lacking any imagination? Stumped on how to give your wedding the all important “wow” factor? Why not plan your wedding based on your favourite movie! Movies make fantastic inspiration for fun and fabulous celebrations. At Ananya, we love a good movie themed wedding! The roaring 20s has always been a popular theme for parties and weddings, but no more so than in 2013 with the release of The Great Gatsby. Starring Leonardo Dicaprio and Carey Mulligan as Jay Gatsby and Daisy Buchanan, The Great Gatsbydepicts the glamour, luxury and extravagance of the time period. This is the perfect theme for modern brides wanting a bit of old world opulence and sophistication. Your invitation is the first glimpse your guests will receive of your wedding, so make sure to incorporate the theme early. We’ve designed the striking Gatsby Glamour collection for our fab, flapper brides. Why not make your big day extra memorable by creating a bespoke monogram design? At Ananya, we create personalised monograms, which are wonderful keepsakes from your wedding and can be used on all manner of things to remind you of your happy day. Here is a Gatsby inspired wedding invitation with a monogram of the couple’s initials at the top. All little girls dream about their fairytale weddings- many of which aspiring to be a true princess on their big day. This is why movies make great ready-made wedding themes. Alice in Wonderland, starring Johnny Depp and Mia Wasikowska as The Mad Hatter and Alice, was a huge hit in 2010. 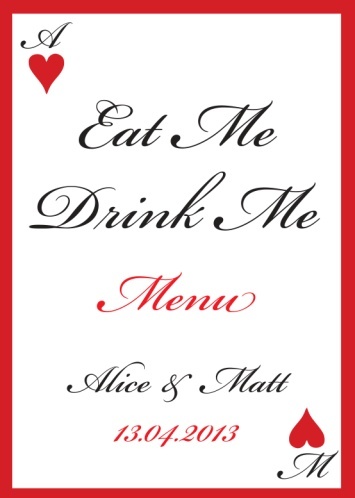 Being inspired by Alice would make your wedding day a quirky and creative affair that no one could forget! We designed the Queen of Hearts collection for our fun loving brides who aren’t ready to give up their childhood dreams. Remember, movie magic doesn’t just come from Hollywood. 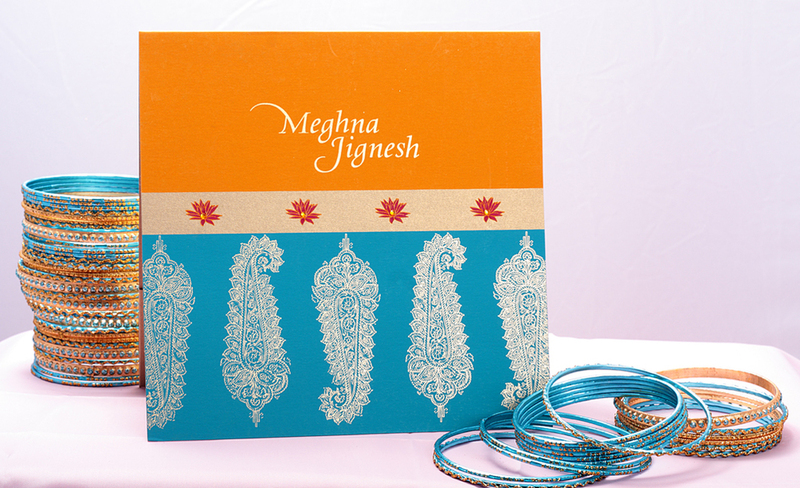 As 2013 celebrates the 100 year anniversary of Bollywood, we have created this limited edition Bollywood Bliss collection of stationery. This collection brings the glitz while allowing you to showcase your culture. No matter what movie you choose, remember to stay true to yourself and make your wedding memorable in your own way. Just don’t forget hand embellished crystals on your stationery for an extra spark of magic on the big day! With the much-anticipated movie the Great Gatsby finally being launched later this year, the 1920’s fashion has already begun to make an appearance. Translating this retro style into stationery will mean soft and shimmery backgrounds, dreamy and lace-textured looks and floral motifs - all heavily encrusted with crystals. Designs can also be bold and geometric and attention grabbing. Quite simply, a feast for the eyes! The shaded or Ombré look has definitely caught on, and will continue to be favoured in 2013. The dipped and dyed effect gives the look of colour graduations from dark to light. Often based on a monochromatic colour scheme, three different complementary colours can also be combined. The Ombré look has pervaded clothes, fashion accessories and even cosmetics and will be seen in stationery with dramatic effect. The enduring allure of India and the East is such that time and again, top fashion and beauty houses such as Chanel and Boucheron have been drawn to its multi-faceted heritage for inspiration. This fascination with the East will continue to play an important part in 2013 because of its undying appeal. Couples are not shying away from choosing strong, dramatic gemstone colours that are rich and exotic, and tones that spell opulence. The designs create a modern interpretation of traditional images and symbols, skilfully harmonising the East and West. Studded with crystal embellishments, they are Bollywood come alive! 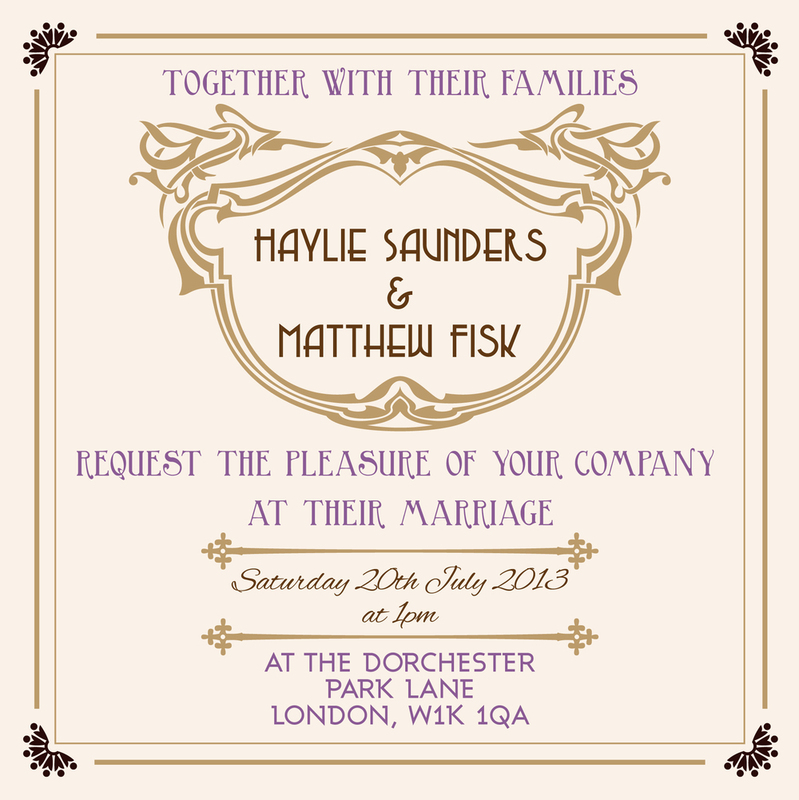 Couples will want the stationery to be an expression of who they are. Whether adopting the latest on trend colour or other popular themes, they will want those themes to be intertwined with splashes of their own choosing – wanting the wedding invite to create the right tone – their tone. Monograms will continue to be highly favoured as a way to express who we are and what we stand for as well as aspects that embrace our cultural heritage. They can also be adapted for use in a variety of ways to suit one’s needs. Monograms can become a work of art when embellished with crystals, adding that special exotic sparkle and shimmer. It’s no wonder that such gorgeous invitations often become a keepsake – a fabulous souvenir to look back on with pride. The soft and soothing colour of mint looks all set to become a hot trend in 2013. After the fiery, passionate, colour palette of 2012’s Tangerine Tango, the cool, crisp and fresh tones of mint will be most refreshing. Emerald, Pantone's Colour for 2013, will also be a very popular choice. Cool and serene or majestic and mesmerising, Emerald can be used as an accent colour to add that all important sparkle or as a predominant colour, as deep and vibrant as the Amazon jungle. The main colour can be carried through the entire suite of stationery with variations on tones. Given the uncertain and volatile nature of the events of 2012, weddings in 2013 will be a great excuse to escape from the concerns of everyday living. The stationery will reflect a fantasy world full of magic and beauty. Soft colours, birds and butterflies, layering of designs and a touch of sparkle will create romantic and captivating stationery. For those of us who like simple and understated chic, the classic look will always be in style - a relaxed feel with timeless designs and quiet luxury that speaks volumes. Soft colours, monochromes, monograms, minimal fuss and beautiful. What are your favourite trends for 2013? We'd love you to share your ideas with us.